You are here: Home → Ford Go Go Action Bronco! 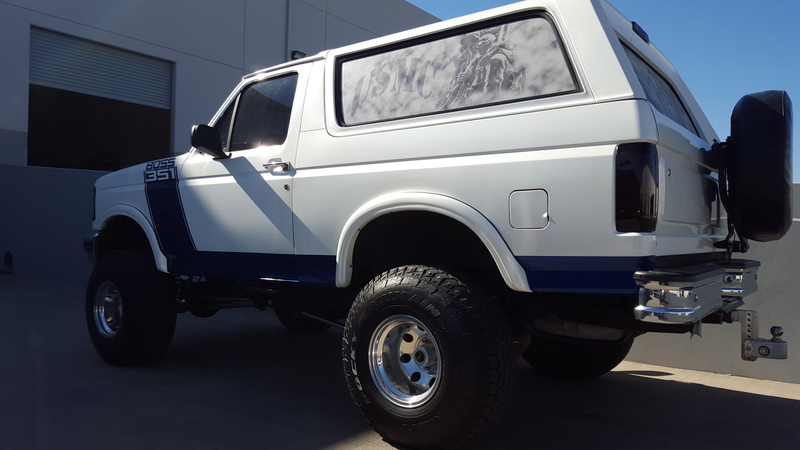 The Ford Bronco is an iconic SUV that ran parallel with GM’s Chevy Blazer. 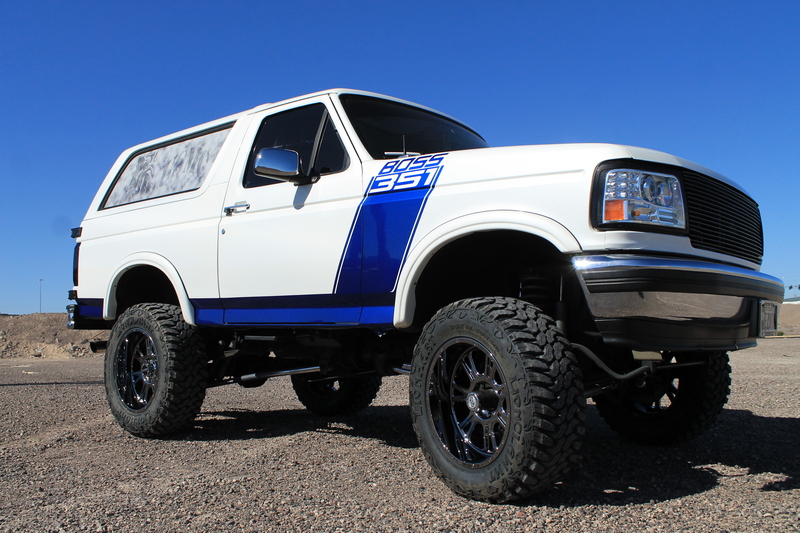 The two door SUVs were the ones that stated it all and were also heavily modified for off road use. 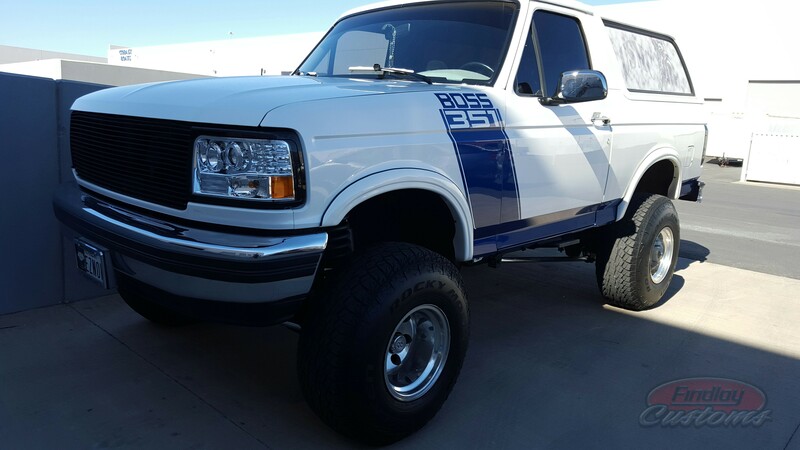 The owner of this particular Bronco had a big lift kit on it already with off road tires and wheels but wanted to upgrade to give it a more aggressive look as well as better performance off road. The tires already on the truck were all terrain tires but lacked a aggressive enough block pattern for what the customer was shooting for. As well as the tire change they thought, “why not just change up the wheels too”, which is very common and almost encouraged when changing out certain types of tires as well. 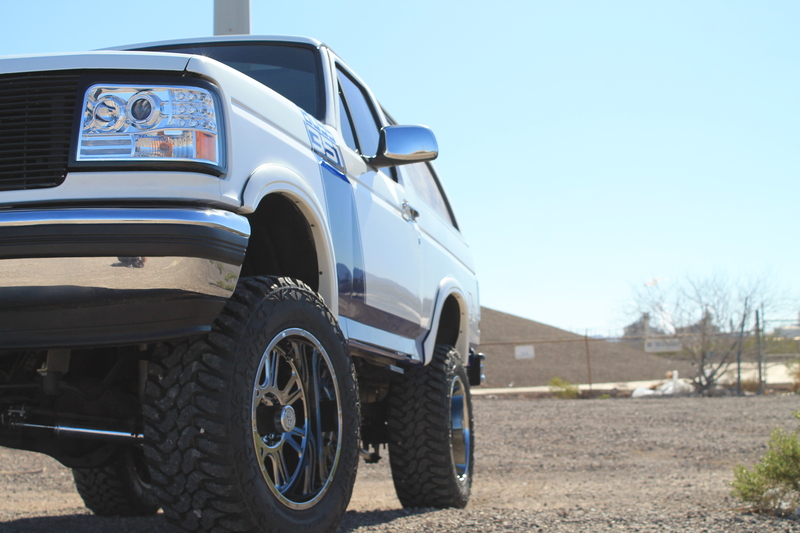 We installed 35″ Lionhart Lion Claw Mud Terrain tires on 20″ Vision 399 Fury wheels which gives it that meaner beefier off road look.